Atlantis Quest is rated 3.6 out of 5 by 30. Rated 5 out of 5 by ooakPlayer from The Game I Hate to Love …or love to hate, whichever way you want to look at it. If you like the Match 3 genre but find that they are often too easy, this might be worth a try. 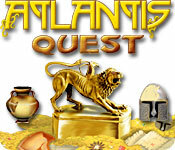 I find Atlantis Quest challenging, but in a good way. In fact it starts out extremely easy but gets incrementally more difficult as you move on to higher levels. In my free trial, I don't remember if I was able to get completely through the first level. I was lame… I made a lot of mistakes, took too long to make decisions and often missed some (now obvious) moves. Since my purchase, I have played it on and off for the past month or two. 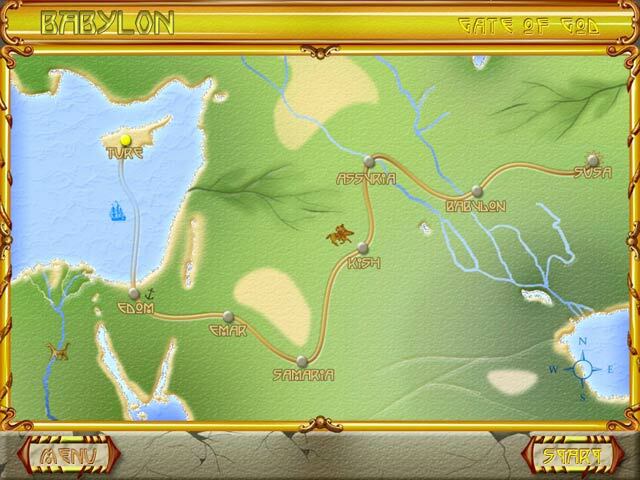 I struggled with certain levels but made it through somehow to Level 4 (Egypt II). 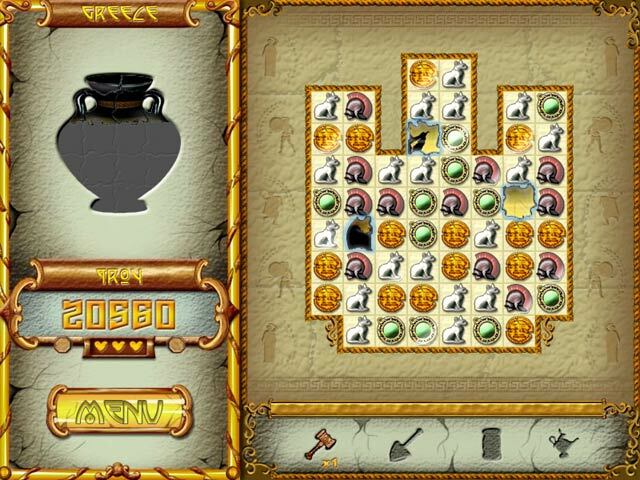 Then I got completely stuck on level 4-4 (Egypt II, Asyut) and could not get past for what seemed like ages. I kept going through all my current lives on it, used every available tool I had collected and would still get demoted down to the beginning (4-1), so I must have replayed it a dozen times, maybe more. Probably more. Definitely more. So I started over from scratch and I was amazed at how easy it was to breeze up to and though my sticky level with ease (with time to spare, no tools and a "Well Done" commendation!). My point here is that it may be a frustrating game for some (as it was for me, and truthfully still is since now my sticking level is 5-8!) but be patient with yourself and keep trying. I have found that my persistence has paid off and I am finally "getting it"! Also, I find that taking time off from it and playing different games somehow helps me when I return to it. It's one of those games I would consider to be experiential over time. I would recommend to disregard any reviews that dismiss the game having played only the trial. That's just not enough time to get the hang of the game. Frankly, I am surprised at the level of challenge for a Match 3. I get stuck often. And frustrated. But I keep going back to it, even after declaring that I have had enough! No more! Yep, I hate to love it so. But I do. Rated 5 out of 5 by seniorspeed0 from Challenging match 3 game I enjoyed the variety in each level, as well as the increase in difficulty. It kept me going back to replay and challenge myself! The only thing I don't like is the music. It becomes irritating after about 5 minutes. Rated 5 out of 5 by SWEETAS7ANDY26 from AWESOME I LOVE THIS AWESOME GAME YAHH. Rated 5 out of 5 by yorky2 from Atlantis Quest best game I've ever played and I play a lot of games. Rated 5 out of 5 by ChristinaX9 from Excellent challenging gameplay This game is nothing short of breathtaking and addictive, offering infinite replayability. Sadly, they do not seem to make this type of game much anymore. I would love to see a true follow up to this game. It may not have the latest graphics or other fancy stuff, but the gameplay is amazing. It starts off easy but slowly gets harder providing a real challenge, something so rare in today's too easy games. I also love collecting the parts of artifacts by making them fall out of the bottom of the grid. For those of you who like a proper challenge look no further. This is the one. 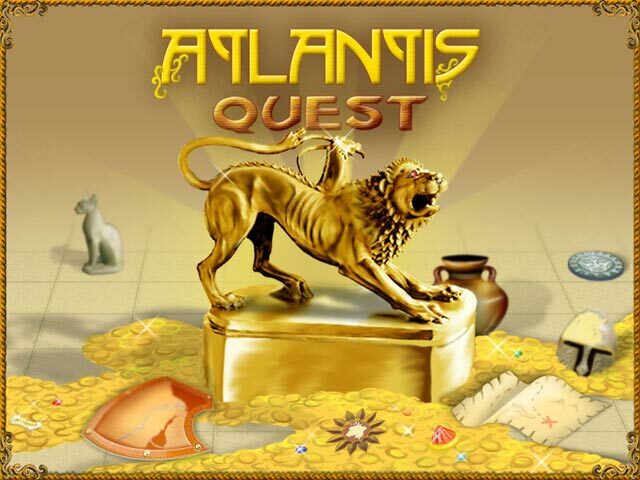 Rated 5 out of 5 by betskand62 from Falling blocks Match 3 This is in the same falling blocks mode as Around the World in 80 Days and two other Atlantis Games. The art is not as interesting as the two other games, but the maps are much more interesting, going into greater detail about the Fertile Crescent and Greece in pre-classical days. There is also the most DELICIOUS tinkling-strumming lyre sound that accompanies the passage of pieces...I would want this game for that sound alone! It is beautiful and relaxing and gets harder at higher levels. Rated 5 out of 5 by maggie0308 from I just love that game I like the the the way it is put in,always on guard,you have to be all the time on the look out for more surprises. Your can not make a wrong move.I would recommend this games to anyone. Rated 5 out of 5 by Bonedigger3 from Match 3 Challenging...interesting...very good game.